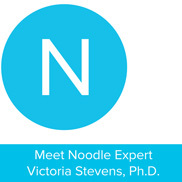 Meet Noodle Expert Victoria Stevens, Ph.D.
Victoria Stevens, a Los Angeles psychologist who has studied the effects of the foster-care system on younger children, explains that if a child is in a stable environment, his or her brain development is affected accordingly. In a stable setting, connections between the neurons in the brain grow at a healthy pace, allowing for higher-level mental processes — like learning abstract mathematical or scientific concepts. "In cases of disrupted and insecure attachment, the lower brain processes become dominant and higher-order cognitive skills and social skills can become impaired," Stevens says. Many foster-care kids have trouble reading, and struggle with other basic skills, because their "attention span is hijacked by emotions." 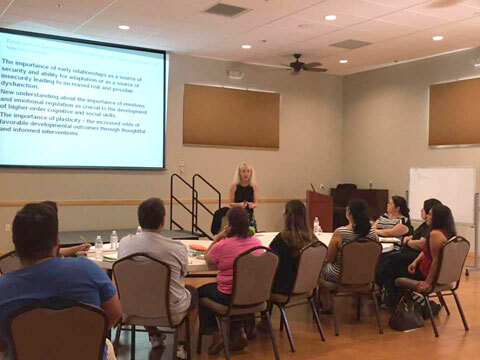 Victoria Stevens, a Los Angeles psychologist who has worked extensively with foster youth, agrees in principal, saying, the "race of parents, sexual orientation, socioeconomic status, education of the parents, single parents, et cetera, is of little or no consequence." The key is "the capacity of the caregiver to pay attention to the separate existence of the child and respond contingently with care, delight, love, respect, play, predictability and consistency." One day professional development for all teachers: Music, Creativity, Empathy and Emotional Intelligence. Pedagogy, curriculum and assessment for fully integrated music into all subjects throughout the year. 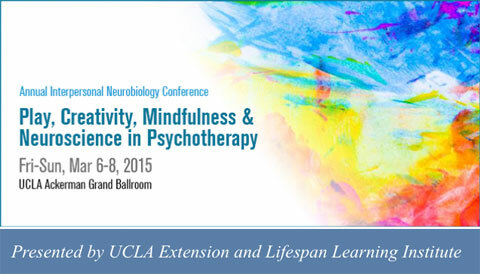 Learn innovative methods for integrating humor, play, creativity, and positive psychology into the therapeutic process. With Daniel Siegel, Alanis Morissette, Zoie Galvez, Betsy Crouch, Stuart Brown, Theresa Kestly, Phyllis Booth, Louis Cozolino, Allan Schore, Steve Gross, Paula Thomson, Bessel van der Kolk, Pat Ogden, Jaak Panksepp, Terry Marks-Tarlow, Sharon Salzberg, Barbara Frederickson, Ed Tronick, Bryan Pezzone, Mihaly Csikszentmihalyi, and Victoria Stevens. READ ALL ABOUT IT! 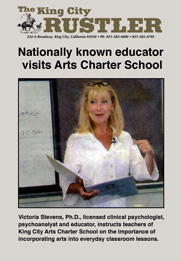 – Victoria Stevens, Ph.D., licensed clinical psychologist, psychoanalyst and educator, instructs teachers of King City Arts Charter School on the importance of incorporating arts into everyday classroom lessons. The following are links to QuickTime videos. Click here to download for free, the latest version of QuickTime Player. 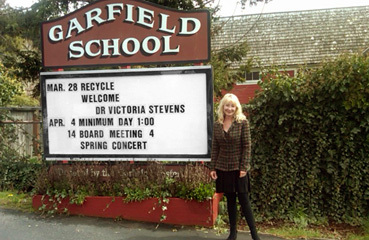 In March of 2008, Dr. Stevens presented a talk for arts organizations, teachers, parents, and business leaders about the importance of arts education for all children sponsored by the Forest Theatre Guild, Carmel-By-The-Sea in Carmel, CA. 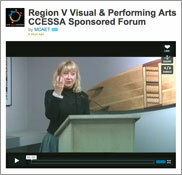 This was a prelude to her talk the next day for the Region 5 Arts Education Forum sponsored by the Santa Cruz County Office of Education entitled: "Open the Doors to Arts Education". The topic of her Keynote Address was "Creativity, Empathy, Imagination and Metacognition: What Affective Neurobiology Tells Us about the Importance of Arts Education for All Children."